SAN FRANCISCO - Google had several big tech and service announcements at this week's second annual Google Cloud Next conference here. But the company is also leveraging a surprising resource to win enterprise customers - people. It's surprising because Google's biggest successes have come from technology that pretty much sells itself, such as search and related advertising services like AdWords and AdSense. But in those areas, Google succeeded because it was able to adroitly exploit its first mover advantage. In cloud computing, it trails the clear leader Amazon Web Services (AWS) and second-place Microsoft Azure. 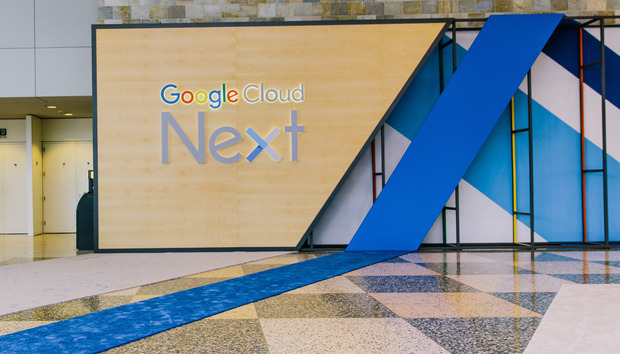 So at Cloud Next, the company did what smart competitors do: it unveiled new features and pricing designed to better position the Google Cloud Platform (GCP) as a worthy alternative. Customers, in general, praised the announcements, but then also shared an overlooked aspect of Google's enterprise marketing. When Jack Constantine, chief digital officer of beauty products retailer Lush, was asked why his company switched from Amazon to GCP, he didn't focus on tech features. "It's the engineer-to-engineer relationship we have with Google," Constantine said. "It feels like a partnership where we can take on challenges together. We're big in retail, but we're a small technology organization that's passionate about what we do. We're like a startup in some ways and I don't think we could achieve what we've done with GCP in another environment." That comfort level with Google was key because Lush was under pressure to transition to GCP. The retailer had grown frustrated by certain aspects of AWS and decided -- with just 22 days left on its annual contract -- not to renew the deal. "We realized it was now or never and we committed to taking a high-risk perspective," he said. That meant a fast-paced move to GCP in three weeks' time, something Constantine likened to an intense training period. "There was a cultural shift for us going to the Google cloud platform, learning how to containerize and use other languages, but everyone was really up for it." Technology Business Research analyst Meaghan McGrath said Google is pursuing the enterprise market in a unique way. "The things they are doing with customer reliability engineers and site reliability engineers have been proven to help Google products, and transforming that to a customer-facing program is smart," McGrath said. She recalled that at last year's inaugural Google Cloud Next customers like Spotify and Snap said the amount of attention they received from Google was invaluable. "My reaction to that was that it's easier to target a few use cases, but can this scale? I think Google is showing it's committed to supporting customers and they augmented that with the announcement that they've signed Pivotal and Rackspace for managed support." Other big-time customers, including eBay, Disney, Home Depot and HSBC, endorsed GCP at the conference. Troy Toman, director of engineering at Planet Labs, said his firm went with GCP for "the whole package" of what it offers, including technology, more flexible pricing and "Google's willingness to come to us and listen to what we needed." Planet Labs still has a major investment in AWS, but moved to GCP specifically to help manage and process the millions of images the company generates via thousands of satellites in orbit. Analysts say Google can continue to make inroads, but won't displace Amazon anytime soon. "Where Google is now with its focus on the enterprise is something I couldn't imagine two years ago," said Gartner analyst David Mitchell Smith. "There is a lot of greenfield opportunities to go after companies looking to move off legacy systems. "Google is going to be third one in at some enterprises looking to add cloud services," Smith said. "And that's okay because it promotes competition. Enterprises want an exit strategy so that if one system fails, they have somewhere else to go. It's like an insurance policy. Most companies aren't 100% any one vendor." McGrath said AWS is likely to remain the de facto provider of cloud services for the foreseeable future -- even after last week's well-publicized outage. "Amazon's created an aura around themselves with a large partner ecosystem that keeps them top of mind. I think Google understands that, but also is getting enterprises to understand the advantages of a multi-cloud environment. You look at the recent AWS outage and Google is saying, 'We can be your security blanket so your entire company isn't down.'" While customers no doubt appreciate Google's white-glove support efforts, the provider won't get anywhere without a solid technology underpinning. Case in point, when Anirban Kundu, the CTO of Evernote, was asked at a press briefing to give one reason why his company switched to GCP, he insisted on giving two: "Encryption at rest and the speed of development it offers."